FSG Build Ltd is committed to providing an excellent level of service to every customer and in light of this our company has been pre-assessed and accredited by four members of the Safety Schemes in Procurement, Constructionline, CHAS, Safecontractor and Exor. Their pre-assessments provide customers with up-front company information demonstrating our compliance with health and safety legislation and competency in delivering the services advertised, saving time and money on pre-qualification questionnaires. As part of FSG Property Service we have the following accreditations. FSG Build Ltd is a member of Constructionline, meaning we have been thoroughly audited and customers can view all company information before inviting us to tender. This pre-assessment includes our company details, trade services, references, accreditations, insurances and environmental, health & safety and quality management policies. The Contractors Health & Safety Assessment Scheme (CHAS) certifies that FSG Build Ltd has been audited and meets specific health and safety standards for buyers under their pre-assessment scheme. FSG Build Ltd is Safe Contractor Approved, meaning our health and safety management systems and policies have been audited, meeting specific industry standards for buyers under their pre-assessment scheme. Our Exor Accreditation provides buyers with reassurance that our health and safety management systems and policies have been audited and meet specific industry standards under their pre-assessment scheme. FSG Build Ltd holds a range of other accreditations and memberships, which are shown below, demonstrating our ability to deliver the trade services advertised to a high standard of quality, in line with industry standards. FSG Build Ltd is accredited by the BBA for the installation of loft insulation and cavity wall insulation in domestic properties. FSG Build Ltd is enrolled onto the Gas Safe Register as a competent gas engineer. We've been approved by their health and safety enforcement agency for our competency in delivering a range of gas services and complying with gas safety legislation. Our company is registered on the HETAS Competent Persons scheme to service, maintain and install a range of renewable energy systems, such as biomass, pellet and solid fuel. FSG Build Ltd is a NICEIC Approved Contractor Scheme, demonstrating competency in delivering a wide range of electrical installations in accordance with BS 7671 requirements. Our NICEIC Approved Contractor status also supports Microgeneration installations under our MCS Accreditation. 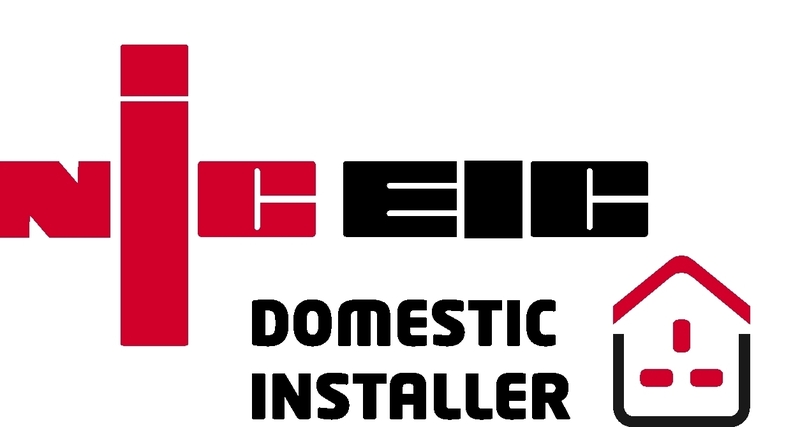 We’re also registered on the NICEIC Domestic Installer Scheme, which means we are competent in carrying out a range of electrical installations on residential properties in accordance with BS 7671 requirements. The Renewable Energy Consumer Code certifies that FSG Build Ltd can supply renewable, micro heat and power generators to domestic customers under our MCS Accreditation. FSG Build Ltd voluntarily supports ROSPA in their mission to reduce injuries and save lives across the UK by sourcing health and safety information, guidance and advice that can be passed on to our workforce. FSG Build Ltd is highly-experienced in delivering bespoke void property refurbishment contracts, reactive property maintenance contracts and planned property refurbishment projects in the public sector, and we're ISO Certified for our Health and Safety, Quality and Environmental management systems.